After determining that you’re ready to buy a home, the next step in the home-buying process is getting pre-approved. It is important to make sure you are qualified to purchase a home before going to look at properties. Too many potential buyers start shopping around for homes online, or even make the mistake of going to look at a home in person, before they know if they can get a mortgage. Typically, this leads to serious disappointment and a lot of unnecessary heartache. It confirms you’re eligible for financing. It verifies which program options you’re eligible for, which allows the loan officer to compare options for you and find the loan program that best suits your needs. Realtors will take you more seriously as they know you’re a qualified buyer. Sellers will be more likely to negotiate with you. Most sellers will not even accept an offer unless the buyer is pre-approved. At the completion of the process, your loan officer should provide you with a detailed estimated payment breakdown, along with a breakdown of costs and required down payments. This part is highly important as it prepares you for what to expect and how much can you need to be prepared to bring to the closing table. Getting pre-approved is an easy process and doesn’t take long to complete. Typically, it takes 10-15 minutes to complete an application online or over the phone. At the onset of the pre-approval process, you will get an opportunity to work with your lender on budgeting and figuring out what price range of home is right for you and your family. Before speaking to a lender, it is a good idea to be prepared and have a solid sense of what payment you want to stay around. Having a budget in place and knowing what you’re comfortable spending is far better than simply asking the lender to qualify you for as much as they can. Current assets in checking, savings, retirement, etc. Once the consultation is complete, the lender will begin the pre-approval process. There are four main areas the lender will examine for pre-approval. In order to get pre-approved, a borrower must have steady and verifiable income. This income also must be high enough to meet the debt-to-income ratio requirements for each program. In today’s lending market you will have to document all your income to qualify for the loan. For most employed borrowers this includes your last 2-3 paystubs and last 2 years W2 statements. For retired individuals this would include 1099 statements along with social security, disability or pension awards letters. If you’re a self-employed borrower, we’ve highlighted what it takes to qualify for a self employed mortgage in that article. If you own rental properties or more than 25% of your income is commission-based, then the lender will also need your last 2 years of Federal Tax Returns. At United Fidelity Funding, we do have some options to qualify borrowers without standard income documentation, but you will need to speak with one of our Loan professionals in detail on those programs. While income and debt-to-income ratios are important, how much money you have and where it’s coming from is equally important to getting pre-approved. To qualify for a home loan, you will need assets for down payment, closing costs and reserves in some instances. The down payment is the amount of cash that you put down on the home at closing. Some programs like VA and USDA loans do not require down payments. FHA loans require 3.5% and there are some first-time home buyer options that require as little as 3% down. Conventional loans require a 3-5% down payment, but you will incur mortgage insurance unless you put 20% down. Closing costs can range anywhere from $4,000-$9,000+ depending on purchase price, loan amount, loan program, interest rate and the state you’re buying in. But these costs are additional money that a buyer needs to be prepared to pay for at closing. However, in some cases the buyer can negotiate for the seller to pay for their closing costs. Your lender or realtor can walk your thorough that process. Lastly, monthly reserves is the amount of money the lender will require you to still have left over after you buy the home and pay your cash due at closing. Some programs do not require reserves and some programs can require as much as 18 months reserves. Months of reserves are calculated off the total principle and interest amount of all properties owned. Example: if your principle and interest payment is $1,500 per month and you are required to have 2 months reserves, you would need $3,000 in assets left over after paying for the down payment and closing costs. Your lender can provide more detailed information on how assets effect you when getting pre-approved. The third area the lender will look at is your credit when getting pre-approved. This consists of your credit score, monthly debt obligations and payment history. Many borrowers make the mistake of thinking that only their credit score matters. However, it’s not uncommon to have a borrower that qualifies based on score (their credit score was high enough) but cannot get pre-approved due to poor payment history or too much debt on the credit report. Most lenders have a minimum credit score of 620 but it is dependent on the loan program. At United Fidelity Funding, we offer some of the most flexible terms and lenient guidelines of any lender in the nation and are often able to help borrowers when other lenders cannot. Depending on your down payment, we have loan options that can go down to 520 credit in some circumstances. In addition to credit score, the monthly debt payments on your credit report will be divided by your income to determine how much house you can afford. Comparing monthly debts payments to your income is called the debt-to-income ratio and each loan program has certain requirements for that ratio. Finally, payment history factors into getting pre-approved as well. If you have lates on your current mortgage it will make it hard to qualify for a new one. Judgements, collections and public records (Bankruptcies, Foreclosures, etc) will also factor in. Too many late payments in general could also disqualify you, but before you think you’re not eligible, it’s always wise to consult with a Loan Advisor (as there is generally no cost to do that and have them confirm for you). Assuming you’re not retired, employment verification is the fourth aspect of getting pre-approved. You will need to have consistent job history for at least 2 years to be considered for a job. Did You Know? Schooling is considered as a part of the job history, so if you haven’t been working for a full two years you likely still may qualify. It’s important to be thorough and as accurate as you can be on the application, so the loan officer has reliable information when they’re getting you pre-approved as omissions or incorrect information could mean that you get pre-approved but then your loan falls apart once reviewed by an underwriter. A good example is that any significant job gaps in the last few years need to be disclosed as that could affect your pre-approval. If we find out about significant job gaps later in the process that could present issues. It’s also important to be truthful and honest with all information as later in the loan process the lender will call your previous and current employers to get a Verification of Employment (VOE). The VOE’s will include confirmation of your income, verify the exact dates you worked at that company, and for your current job confirm that you are still employed at the time of closing. If you are self-employed the lender will want third party verification such as a business license or a listing with the secretary of state. Fact: With the way mortgages are documented these days, there is nothing that isn’t eventually verified during the loan approval process, so be as accurate and truthful as you can be from the beginning. 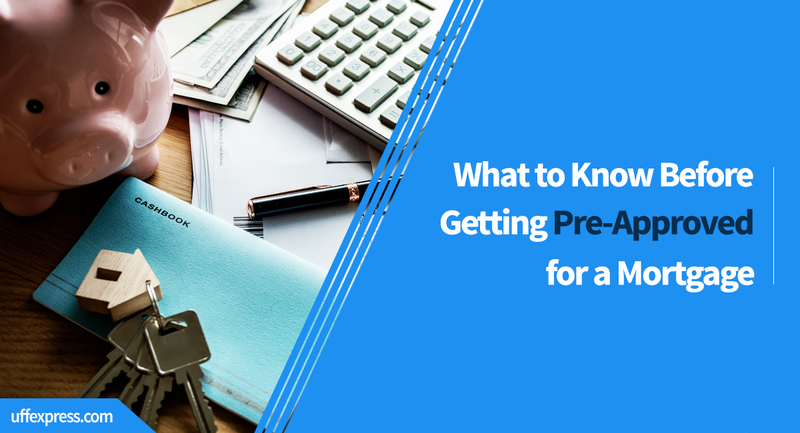 While the process of getting pre-approved may sound like a lot of work, seasoned loan officers are able to get this all done in a matter of a few hours. Sometimes it can be as little as 45-60 minutes. After the loan officer looks at all the details mentioned above, they then run your scenario through a risk-based automated underwriting system. Getting an approval in this system goes a long way to determine if you qualify. If this system does not give a positive answer, there may be alternatives such as a manually underwritten loan but those are more stringent, often have lower debt-to-income ratio requirements and often require borrowers to have no late payments of any sort in the last 12 months. Once you’re determined to be pre-approved, your loan officer will then verify which loan options you qualify for and work up various payment, cost and down payment breakdowns that meet the original budget and goals you first discussed during the initial consultation. Your loan officer will review these with you and ultimately help prepare you for what to really expect once you do find that perfect home. Once the pre-approval process is complete, your loan officer will work up a letter pre-approving you for a purchase price, loan amount and loan program. You’ll then give this letter to your realtor to submit to sellers when you’re making offers on homes! Our loan officers average 7 years in the business and 500 closed loans. This means we’ve seen almost every scenario out there, know the common roadblocks that could prevent your loan from closing, and we know how to guide and prepare you. We don’t spend money on national marketing, sponsoring NBA sports arenas or hire 100-team IT or engineering crews to build expensive do-it-all mortgage systems that really don’t work. Instead, our focus is keeping our costs and overhead low, thereby helping our clients keep thousands of dollars in their pockets by passing that savings along to you. Applying online is safe, easy and quick. It takes about 10-15 minutes to enter the information needed to get pre-approved and once complete, our team will be instantly notified. We’ll briefly touch base to confirm your budget and answer any initial questions. Then we’ll get to work to see if you qualify and will likely have an update for you in a matter of hours. We also offer a secure portal to upload documents needed when getting pre-approved! Read our reviews on our homepage or find our profile on Zillow or LendingTree. You’ll see we have 5-star ratings everywhere. Ultimately, this speaks to our level of service, how we educate our clients and always operate with you in mind.